Doctor Who’s TARDIS is unique in that it appears larger on the inside than it does from the outside. 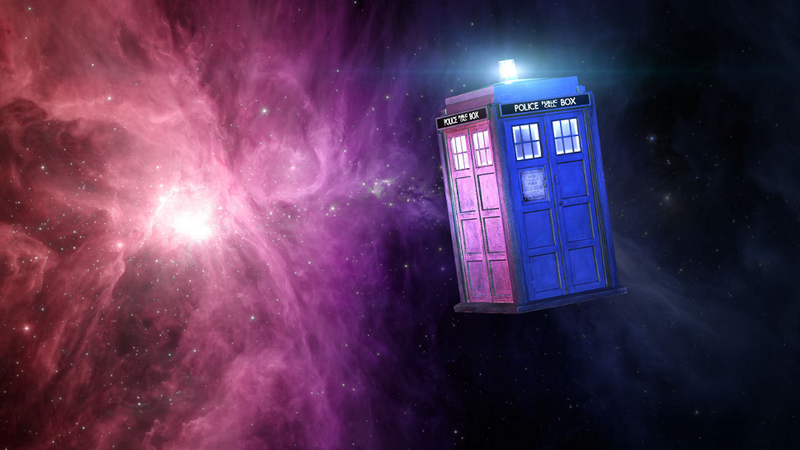 According to scientists from the University of Helsinki, our universe may exhibit similar properties, a phenomenon they're dubbing Tardis spacetime. It’s a new theory that could solve a longstanding mystery in cosmology. Top image courtesy Rob Semenoff. Scientists aren’t entirely sure why the universe is accelerating. To that end, they’ve posited a number of theories, including the presence of a mysterious dark energy that’s causing space to expand at an accelerating rate. But according to Mikko Lavinto and colleagues, the universe isn’t actually expanding. It only looks that way from our perspective. Our view of the cosmos, they argue, is the product of an optical illusion created by regions of space that are bigger on the inside than they appear on the outside. Inspired by Doctor Who’s TARDIS, they’ve dubbed this the Cosmological Tardis Model (also described as a “Swiss Cheese” model of the universe littered with “inhomogeneous holes”). In addition, Tardis regions should appear like parts of the universe that are particularly low density. And fascinatingly, our universe does indeed feature such regions, which are called voids. These are huge swaths of the cosmos that have far fewer celestial objects than other parts of the universe. The solution is far from perfect, however, in that it doesn’t exactly mesh with our observations; when light enters a Tardis region, it should bend sharply owing to the greater curvature. But this isn’t what astronomers observe, so Lavinto and colleagues still have their work cut out for them in explaining why we (appear to) observe light that travels in the same direction.